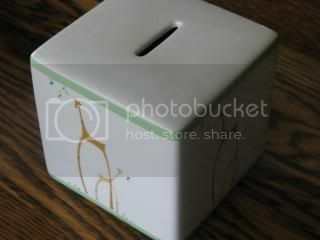 For well over a year, Caleb scrimped and saved every bit of money he could in his little money box. He made calling cards for family members telling them he was available for any kind of work to earn cash. He shredded papers for one grandma, washed cars and fish tanks for the other grandma, used the weed eater for his dad and cleaned horse stalls for his grandpa. Why was he so diligent to work and save more than $200? He was so cute at Walmart the day he purchased his Wii. With his entire money box in tow, we rushed back to the electronics department. I went to find an associate while he went straight to the aisle to find his Wii. Before I knew it, he and an associate (that he had already found) were headed toward the associate that I was waiting to talk to. His face held an expression of woe. His associate was asking mine if they were out of Wii’s. Oh my. Out of Wii’s?? They couldn’t be! He had waited far too long and the suspense of the day was already killing him! Before long, here comes the associate with a cart full of Wii’s. Caleb looks at the box and realizes it’s a special bundle with not only the Wii, but the Sports Resort pack as well. His face falls again as he tells her that he only has enough money for the Wii. He goes on to tell her that he really wants the Sports Resort game, but that will take lots more extra chores to earn the money. She says, “Honey, this is a special bundle. It means you get ALL of it for $200.” Caleb looks at her and says, “Really?? It only costs $200? You know I only have $200, right? I worked for almost two years to earn this money and I don’t have any more.” The excitement is rising in his voice with every new sentence he speaks. “Yes, how about we go pay now? As we get to the counter, another lady rings us up. 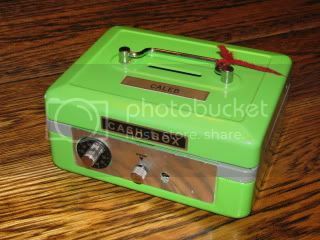 Caleb has opened his money box in the mean time and I watch the cashier’s eyebrows rise as she sees all the coins. She asks me if I’d like to purchase the warranty for $20. When I tell her yes, panic strikes Caleb again. “Mom, I don’t have money for the warranty! I only have enough for the Wii and the tax!” After I tell him the warranty is on me, he relaxes and starts counting out his money. The line behind us is growing and the cashier isn’t nearly as excited about the purchase of the Wii as Caleb is, so when he reaches all the change in the bottom of the box I tell him that I’ll take care of the rest. He’s relieved that he doesn’t have to count all that change (over $10 worth), the cashier is VERY relieved he doesn’t have to count all that change and I hear sighs of relief in the line behind us as well. Immediately, Eli (who’s three) gets up from the table and heads to his room. We’re all wondering what he’s doing as he returns with this. His money box holds about 79 cents and he was willing to give it all to his daddy to help with a trip to the beach. What a great story, so glad he was able to get his Wii. Awww that is so cool! I bet he’ll treasure that Wii! My 11-yr old saves his money for things like axes, storage tubs to make ride-able boats at the lake, WWII army helmets……..